When you want a finance package to suit your personal requirements, Global Windows have got you covered. We will provide advice and information on a range of finance options, and help you to make an informed decision on the best choice for you. If you need a small loan for a replacement window, our friendly advisors can offer a cost-effective solution. If you need a larger loan for a home extension; our industry experts will provide professional guidance and never let you sign up to a deal that you can't afford. At Global Windows, we pride ourselves on our integrity. We want all our customers to feel comfortable in their home improvement investment. Warmer & quieter. Save on energy bills. Global Windows offer affordable finance packages to all eligible customers. We ensure that all our customers are fully informed and feel completely comfortable with their investment. Global Windows work with respected credit brokers who offer finance packages in partnership with trusted financial lenders. All our finance packages are authorised and regulated by the Financial Conduct Authority.  Global Windows are part of Crystal Clear Windows (Yorkshire) Ltd. We act as a credit broker not a lender and offer credit facilities from one lender. Interest rates from as little as 9.9% for between 60, 120 or 180 months depending on loan amount. Credit is subject to application and status. Full terms and conditions apply. Borrow £3000 over 60 months. 60 monthly repayments of £63.01 with an interest rate of 9.9% APR representative. Total repayable is £3780.60. Global Windows always ensure that customers fully understand their rights and obligations and have all the information needed to make a fully informed decision. We provide a personal, ethical, and discreet service to all eligible customers. We will never recommend a customer takes out a loan in an inappropriate situation.